Studies show that for many, a low carb approach is more effective than a low fat approach in terms of weight loss, greater blood sugar control, and improved cardiovascular health, especially when combined with a whole food approach. Incorporating exercise can also further improve these important health benefits. If you have tried other dietary approaches, and felt they were not effective, the low carb-whole food approach may be beneficial for you. In the past 8 years, I have made this an area of intense research for myself, reading dozens and dozens of nutritional books, pouring over hundreds of nutritional studies and listening to numerous expert lectures. In the process, I have used myself as a human nutritional “guinea pig,” testing these nutritional theories out on myself. After a lifetime of low-fat, high-carb living, I was obese, pre-diabetic, had uncontrolled hypertension and dyslipidemia. I followed the food pyramid and ate lots of whole grains and low fat carbohydrates…and VERY little fat. This was a two year study, considered to be a long term nutritional study, of 322 moderately obese subjects with a mean age of 52 years old. Low fat grains, vegetables, fruit, other grains and legumes. The low carb diet caused greater improvement in C-Reactive Protein than a low fat diet. Participants were counseled NOT to change their physical activity. The low carb group lost greater body fat. The low fat group actually lost more lean muscle than body fat. The low carb group had greater increase in HDL. The low carb group had the greatest reduction in triglycerides. The low carb group lowered their Framingham Risk Scores. The Framingham Risk Score calculates the likelihood of a heart attack in the next 10 years. The low fat group did NOT improve their scores. *“One important predictor of heart disease that the study did not assess was the relative size and number of LDL particles in the bloodstream. Two peoples can have the same overall LDL concentration, but very different levels of risk depending on whether they have a lot of small, dense LDL particles or a small number of large, fluffy particles,” states Dr. Allan Sniderman, Professor of Cardiology at McGill University in Montreal. “Eating refined carbohydrates tends to raise the overall number of LDL particles and shift them toward the small, dense variety, which contributes to atherosclerosis. Saturated fat tends to make LDL particles large, more buoyant, and less likely to clog arteries, at least when carbohydrate intake is not high. Small, dense LDL is typically found in heart patients and in people who have high triglycerides, central obesity and other aspects of so-called metabolic syndrome,” states Dr. Ronald M. Krauss, Director of Atherosclerosis Research at Children’s Hospital Oakland Research Institute and former Chairman of the American Heart Association’s Dietary Guidelines Committee. “The research suggests that health authorities should pivot away from fat restriction and encourage people to eat fewer processed foods, particularly those with refined carbohydrates,” states Dariush Mozaffarian, Dean of the Friedman School of Nutrition Science and Policy at Tufts University. What Happens on a High Carb (Low Fat) Diet? This is happening even though your dietary fat intake is low. It is carbohydrates that cause increased body fat, NOT consumption of fat. What Happens on a Low Carb (High Fat) Diet? This is happening even though your dietary fat intake is higher. It is carbohydrates that cause increased body fat, NOT consumption of fat. Weight loss and gain is governed predominantly by hormones, insulin being one of the master hormones involved. When insulin is present in abundance, it is very difficult to lose weight. Insulin’s presence tells the body to stop burning stored fat, and also signals the body to store excess incoming carbohydrates as fat. One logical way to stop this action is to consume the foods that do not require large amounts of insulin to process. This is a primary way to promote weight loss. Another practice that can lead to increased insulin levels is eating frequently. We have often been told to “eat small meals all day long” to “keep our metabolism going. This is extremely bad advice. Not to mention that no studies prove this to be true. What is a “Whole Food” Approach? Isn’t a low carb diet high in protein? A low carb diet is not necessarily a high protein diet (unless more protein is needed, such as for children, pregnant women, athletes, etc). On a low carbohydrate diet, the goal is eliminating highly processed carbohydrates and focusing on nutrient-dense, whole food carbohydrates. Then protein and fat are adjusted according to a person’s need. Isn’t a low carb diet high in fat? Once again, the goal of a low carbohydrate diet, is to eliminate highly processed carbohydrates and focus on nutrient-dense, whole food carbohydrates. Therefore a low carb diet is not necessarily high in fat either, although healthy fats are used generously, according to a person’s need. If an individual is overweight, it is ideal to use healthy fats generously, but not excessively until an ideal weight is reached. If I restrict carbs, won’t I be missing out on essential nutrients? The type of carbs being consumed by most people (bread, cereal, pasta, cake, cookies, chips, popcorn, etc) have no nutritional value. Any nutrients in these highly processed foods are typically added artificially and are of poor quality. You will not be missing out ANYTHING nutritionally by avoiding these foods. You will be eating plenty of whole food sources of carbohydrates which will provide all the nutrients you will need. Will I get enough fiber? Absolutely! Once again, a low carbohydrate, whole food way of living will provide you with all the nutrients your body needs, including fiber. Fiber will be obtained from many healthy, fibrous plant sources of carbohydrates. It has been believed that fat makes you fat because a gram of fat contains 9 calories, whereas a gram of protein or carbohydrate contains 4 calories. While fat itself has more calories, it is also more satiating and typically self limiting. Where a person is very likely to overeat carbs, this is unlikely with fats. People on low carb diets generally eat less often because they are not feeding the demands of highs and lows with their blood sugar levels. But even when eating more calories, low carb diets cause greater fat burning and weight loss, regardless of calories. Most low carbers do not strictly count calories. While we are on the subject, lets dispel the myth of calories in / calories out. We’ve all heard it…”as long as you burn more calories than you take in, you will lose weight.” Unfortunately, it doesn’t work like that. Calories are NOT created equal. Common sense tells us that 100 calories of broccoli is NOT the same as 100 calories of cake. Broccoli will NOT cause insulin spike and fat storage…cake will. Plain and simple. If you don’t believe me, eat your entire amount of daily calories in broccoli for a week. The next week, eat the same amount of calories in cake…see what happens! Won’t fat and cholesterol clog my arteries and cause heart disease? “A reduction in dietary saturated fat has generally been thought to improve cardiovascular health. The objective of this meta-analysis was to summarize the evidence related to the association of dietary saturated fat with risk for coronary heart disease (CHD), stroke and cardiovascular disease (CVD). During a 5-23 year follow up of 347,747 subjects, intake of saturated fat was NOT associated with an increased risk for CHD, stroke or CVD. This study shows that when we replace fats in the diet with high glycemic carbohydrates, as one would do on a low fat diet, our cardiovascular risk is INCREASED. “PURPOSE OF REVIEW: The perceived notion that dietary cholesterol is associated with increased risk for coronary heart disease (CHD) has led to dietary recommendations of no more than 300mg/day for healthy populations in the USA. This study will review the current dietary restriction regarding cholesterol while it presents some beneficial effects of eggs (an icon for dietary cholesterol) in healthy individuals. RECENT FINDINGS: the European countries, Australia, Canada, New Zealand, Korea and India among others do not have an upper limit for cholesterol in their dietary guidelines. Further, existing epidemiological data have clearly demonstrated that dietary cholesterol is not correlated with increased risk for CHD. Does the Evidence Support a Limit of 300 mg Per Day? “The perceived association between dietary cholesterol and risk for coronary heart disease (CHD) has resulted in recommendations of no more than 300 mg/day for healthy persons in the United States. These dietary recommendations proposed in the 1960s had little scientific evidence. In contrast, European countries, Asian countries, and Canada do not have an upper limit for dietary cholesterol. Further, current epidemiologic data have clearly demonstrated that increasing concentrations of dietary cholesterol are NOT correlated with increased risk for CHD. Are There Any Benefits to Saturated Fat? “Saturated fat plays many vital roles in our body chemistry. They make up at least 50% of the cell membranes. They are what create our cell’s necessary stability. They play a vital role in the health of our bones. They allow calcium to be effectively incorporated into the skeletal structure. They guard the liver from alcohol and other toxins, such as Tylenol. They improve the immune system. Saturated fats have antimicrobial properties, which protect us against harmful microorganisms in the digestive tract.” Maria Emmerich, Expert in Nutrition and Exercise Physiology, specializing in the study brain chemical transmitters, as quoted in the book Keto Adapted. So if cholesterol and fat are so important, why are we shunning them? So what does that mean for us? It means that dietary fat and cholesterol can take their rightful place back in a balanced diet as they once had. No more opting for low fat margarine over butter. No more egg-white omelets. Let’s see how to combine a low carb lifestyle with a whole food approach for weight loss, optimal blood glucose control and total wellness. Non-starchy vegetables: preferably green leafy ones. Eat non-starchy vegetables at every meal. Healthy fats: coconut oil, butter (no substitutes), avocados, olive oil, fatty fish (like salmon), high fat nuts (like macadamias). While we can eat these foods freely, that does not mean excessively. Use these foods to compliment and flavor foods. Eat healthy fats at every meal. Whole Eggs: with the yolks, preferably pasture raised. Feel free to eat eggs daily (unless allergic). Aim for 1/2 your body weight in ounces per day. A typical recommendation is a “palm-sized” portion at meals. Nuts: it is very easy to overeat nuts. Watch portion sizes. Fruit: no more than 1-2 small servings of low glycemic fruit daily (preferably berries). Eat only if well tolerated with your blood sugar. Starches are vegetables, such as potatoes and tubers, carrots and peas (peas are technically a legume – see below), and other root vegetables (those that grow below ground). Although having some beneficial nutrients, starches are not an ideal choice for weight loss or overall wellness (for the majority of people). If you choose to eat these foods, do so in very limited quantity. If you have pre-diabetes or diabetes, I would recommending eliminating these foods if your blood glucose is not regulated. Legumes include beans, peas and lentils. Although they have some beneficial proteins, they are high in carbohydrates and contain some anti-nutrient properties (which prevent you from absorbing nutrients) and can cause digestion / gut-related problems. If you choose to consume them, choose lower carb options and limit quantity. If you have pre-diabetes or diabetes, I would recommending eliminating these foods if your blood glucose is not regulated. If you have digestive or bowel problems, or any autoimmune disorders, I would suggest eliminating these foods altogether. If you are on a plant based diet and use legumes for protein sources, I would highly suggest researching appropriate preparation methods (soaking and sprouting) to minimize gut inflammation. Milk (and milk products like yogurt) are high in sugar. If you do drink limited milk, it should NOT be low fat / fat free. These often contain undesirable additives to improve texture and flavor to the milk after the fat has been removed. In addition, vitamin D, a fat soluble vitamin in the milk, CANNOT be absorbed without fat. When it comes to yogurt, low fat / non-fat ALWAYS means MORE SUGAR. If you like yogurt, go for full fat, plain, Greek yogurt. If you have a dairy intolerance, eliminate it. Those with autoimmune disorders may also benefit from eliminating dairy. I have chosen not to drink milk. There is absolutely NO nutritional need for it. 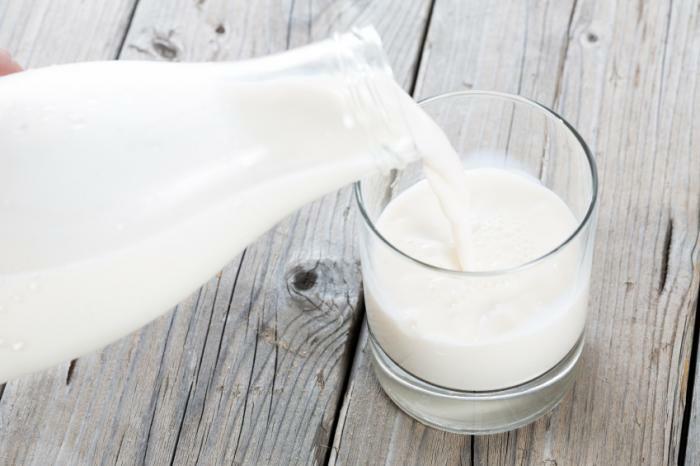 Lactose, or milk sugar, can spike blood glucose as high as table sugar. It would be ideal to eliminate ALL GRAINS from your diet, especially products derived from wheat and corn. Avoid processed grain products (WHEAT OR WHITE) including, but not limited to: bread and pasta. If you choose to consume grains, choose gluten-free, non-wheat based, whole grains in strictly limited quantities. If you have food allergies, skin disorders, autoimmune disorders, digestive issues or bowel problems, try total grain elimination. I have chosen to be completely grain free. I STRONGLY discourage ALL grains. There is absolutely NO nutritional need for them. ANYTHING MADE WITH FLOUR AND SUGAR. Low fat = more sugar! If you choose to use some processed products, choose the full-fat version. Avoid oils high in Omega 6 polyunsaturated oil, like vegetable, corn, soy and canola oils, as well as seed oils. Avoid TRANS FATS!!! Avoid all butter substitutes. All of these are HIGHLY inflammatory and have been shown to increase cardiovascular risk. ABSOLUTELY avoid ALL sweet drinks, including soda, sweet tea, lemonade and juice. NEVER DRINK YOUR CARBS!! Diet drinks are not a good alternative either! Studies have shown that they can contribute to weight gain and pose other dangers to your health. It would be best to drink only water, (and coffee / unsweetened teas if you prefer). ABSOLUTELY avoid all processed convenience foods and fast foods, especially foods containing HIGH FRUCTOSE CORN SYRUP AND TRANS FAT. THE GOOD NEW IS THIS: BEING LOW CARB DOESN’T MEAN MISSING OUT ON EVERYTHING YOU LOVE. ALMOST ALL OF THE FOODS ON THE “ELIMINATE” LIST CAN BE MADE LOW CARB BY SUBSTITUTING A FEW INGREDIENTS. LOOK AT THE END OF THIS PAGE TO FIND LINKS TO HELPFUL LOW CARB COOKING WEBSITES. How Many Grams of Carbs Should I Eat? Unfortunately, there is no easy answer to this question. Everybody has differing levels of tolerance with carbs. It also depends on your level of physical activity and metabolism. But REMEMBER: there is not a minimum number of carbs needed. There is no such thing as essential carbs. Many have found a range of 50-100g daily to be safe and effective. If you are physically fit, active, have a normal weight and are healthy, you may be able to tolerate carbs toward the higher side of that range. If you are not physically active, are overweight, pre-diabetic or diabetic (type 1 or 2), have hypertension or cholesterol problems, it may be better to stay toward the lower side of that range. *Note: if you are on medications that lower your blood sugar, keep in mind that lowering your carb intake may affect the level of medications needed. Many have eliminated the need for some of their medications. In the meantime, continuing on the same medication regimen may cause you to experience low blood sugar levels. Reduce your carbs slowly and work closely with your healthcare team. Test your blood glucose frequently and advise your healthcare professional if you feel your medications need to be adjusted. This may be the same for medications you are taking for your blood pressure. Without a doubt, if you are a pre-diabetic or diabetic, you need to own a glucose monitor. You can get a blood glucose monitor without a prescription VERY inexpensively at any major retail drug store. I suggest this… For a week or more, test 1 hour after every meal (1 1/2 – 2 hours if diabetic). See how foods are affecting your blood sugars. If your food choices raise your blood sugar only minimally above normal fasting range, then consider that a safe food. Make a list of these safe foods and enjoy them. But if you have a significant blood sugar rise from your food choices, just know that your body can’t process that food efficiently. High blood sugars are at the root of almost all chronic disease processes. Continuing to consume these foods will require medication in order to keep your blood sugar controlled. In my opinion, no food is worth medicine! It would be optimal to keep your blood sugar at 80’s or below at fasting, and ideally under 110 after meals. An occasional visit to no more than 120 for special occasions is fine for most people. Remember…..
What Else Do I Need to Be Healthy? If you are currently sedentary, begin an exercise program by starting out walking 10 minutes once or twice daily. Just start moving. Work up to 1/2 hour of vigorous exercise daily in which you profusely sweat. Don’t worry about special equipment, just move. Once you have the energy, try interval walking. Studies show greater benefit with interval exercises versus steady paced exercises. How do you perform interval walking? Warm up with a slow to moderate pace for 3-5 minutes. Then begin interval walking (1-2 minutes of power walking followed by 1-2 minutes of recovery. Then repeat, for a total of 15-20 minutes. Progressively make your speed walking interval longer and your recovery interval shorter.) Cool down for 3-5 minutes. Later, when you have even more energy, add higher intensity interval training, and/ or strength training. Building muscle aids in fat burning and improves overall health. Going to a gym is not necessary. Good health is 85% diet and 15% exercise. Remember, you CANNOT exercise your way out of a bad diet, and exercise is NOT a weight loss solution. Exercise is ONLY effective when paired with healthy eating. So, 1/2 hour daily is just fine. If you can do more, by all means do so. But set this as a minimum goal. Get preferably 8 hours (but no less than 7) of sleep per night. Sleep deprivation causes weight gain and is detrimental to your health. No eating within 2 hours of bedtime. To improve sleep quality, avoid exercise and the use of electronic devices within two hours of bedtime. Hydrate first thing in the morning, about 16 oz or 500 mL upon waking. Practice stress reduction. This reduces hormones that interfere with weight loss and good health. Stretching exercises can be used for both stress reduction and as an exercise warm up and cool down.